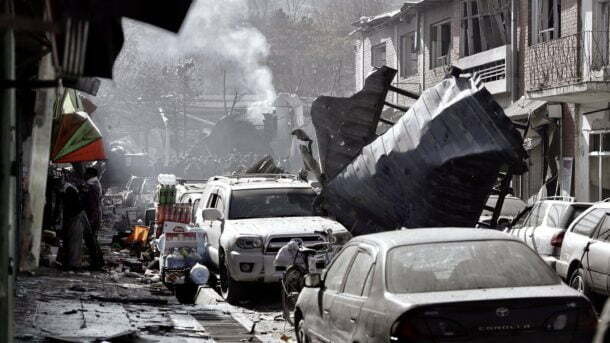 At least 95 people were killed and 163 wounded in Kabul Saturday after a suicide bomber driving an ambulance detonated an explosive device at a security checkpoint near a hospital. Zabihullah Mujahid, a Taliban spokesman, claimed responsibility for the attack in the Afghan capital that sent dark smoke billowing. It follows last week’s attack by Taliban militants that killed 22 people in an armed assault on an international hotel in central Kabul. 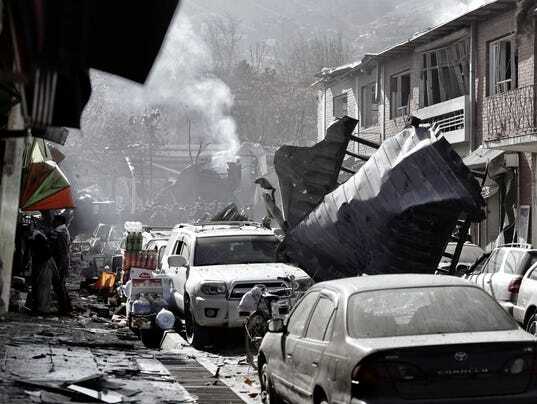 Wahid Majrooh, spokesman for the ministry of public health, confirmed that at least 95 people were killed and 163 wounded, according to Kabul-based TOLO news. Trump’s U.N. envoy, Nikki Haley, said last summer that the president’s policy was working and that peace talks between the government and the Taliban were closer than ever.